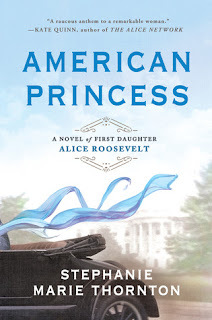 Synopsis: From New York Times bestselling author Karen Harper comes a novel based on the lives of two amazing sisters . 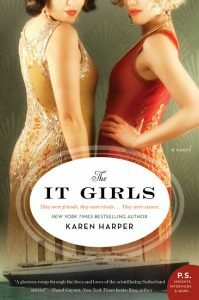 . .
My Review: The It Girls tells the story of two sisters, Nellie and Lucy, who were the fashionable girls of their day. Nellie becomes a famous author and Lucy is a successful fashion designer. One of the girls penned the famous classic, Three Weeks, and the other survived the Titanic. 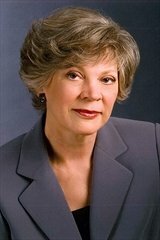 This novel follows their successes and their trials. Mostly, it explores their sisterly bond that spanned for decades. Both Lucy and Nellie are very sympathetic characters. They are both idealistic, romantic, and ambitious. Even though they came from poverty and experienced a series of hardships, they were still full of determination. Because of their persistence, they were able to pull off their dreams. Thus, I admire these characters’ willpower. However, these characters still felt flat for me. They were sometimes jealous and cruel to each other. They also seemed very alike and it was hard for me to distinguish the sisters except through their occupation. Therefore, I thought that they needed more character development to make them more unique. Overall, this book is about betrayal, first love, and sisterhood. The message of this book is to fulfill your dreams. I thought that the characters were flat. The supporting characters had little depth. The story seemed to be very rushed. It never really explores Nellie and Lucy’s relationships. The novel had many time jumps in order to get to the main details of the sisters. Because of the time jumps, it left me confused, and I had to reread multiple paragraphs to get a better understanding of their situations. Thus, I would have liked if the book had smoother transitions. I also thought that the writing was choppy. There was also much more dialogue than description in the novel. Because of this, I think it would have been better as a screenplay. Despite the novel’s flaws, it was still very enjoyable. I had never heard of these girls before, and they seem to have a dramatic lifestyle. Thus, I recommend The It Girls to fans of The Girl Who Came Home, Stars Over Sunset Boulevard, and A Certain Age. The first impression is the most important among others. I wish you every success.